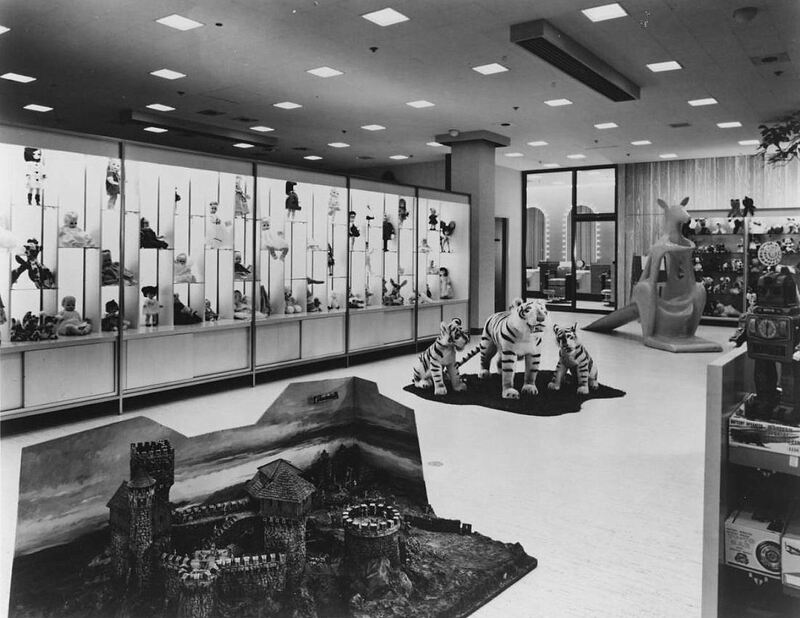 This is digging way back for me, but when Neiman Marcus had the Preston Center store, I think they had a seasonal toy department in the basement – at least in the early years. I think when we moved away in 1960 the basement was no longer customer-accessible. Way in the back (northeast?) corner of the basement at one time there was a train layout. I remember seeing a little stove that you could actually cook on – and there was one of those crank music-box things (Faventia) – I remember they played it once and it sounded amazing.